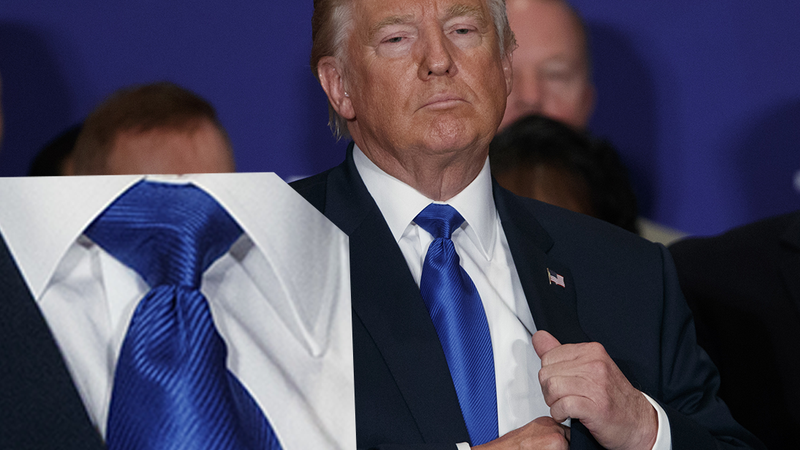 This man cannot tie a necktie and it's a crappy looking tie anyhow and he is thus not qualified to be POTUS. To be president, the successful (male) candidate will demonstrate his ability to tie a necktie. And release his tax returns. When I am emperor. And also: no more chewing gum.